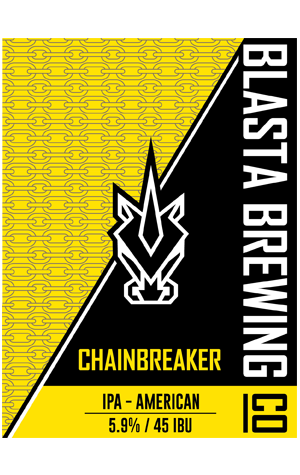 It might not be the biggest IPA by contemporary standards, but it's a fair step up in punch from Blasta's pale, with Chainbreaker a beer that makes its bitterness felt. The sweet malt body provides a light platform for the double dry hopping of Citra, Simcoe and Amarillo hops to work their magic. Tropical and citrus hops sit atop a subtle piney base and the near 6 percent ABV adds weight but remains at a responsible level in keeping with Blasta’s mandate of well made, drinkable beers. In short, it's a pretty straight down the line American IPA.